Are you looking for an matching option to the rest of you accessories and jewelry? 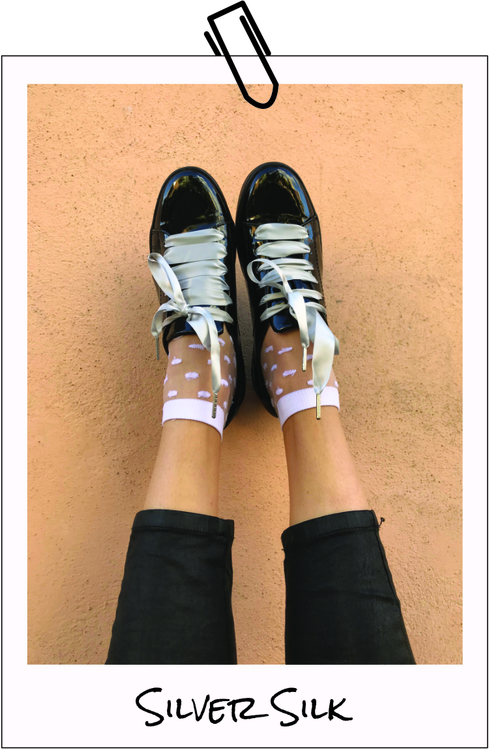 In that case you've just found the perfect satin laces! 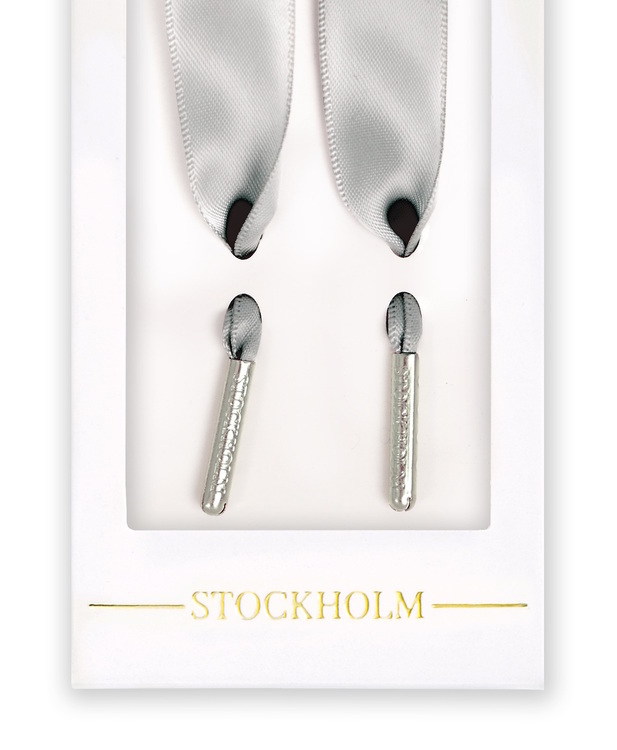 These shoelaces has exclusive metal tips in the same amazing color as the laces, where "Stockholm" is engraved. The shoelaces are 2cm wide and is available in the lengths 100 cm and 120 cm. Silver is the new top of the podium, haven't you heard? !